With many UAE students entering their final year of study it is all too easy to focus on impending year-end exams – and forget about why you are sitting those exams. For most students, the purpose of examinations is not an end in itself, but to gain the grades to achieve a top university place and, ultimately, a “good job” in the industry that inspires them. It is far too easy, with all the pressures of school, to lose sight of this. Many students leave it to the last minute when considering what they are going to do after leaving school. “I’ll leave it until after my exams!” is not an uncommon response with the pressures of the last year of school ahead. Even in the best UAE schools, with career and university advisory teams, the temptation is to put your head in the sand when thinking about what you are going to do when leaving school. The purpose of this Guide, which is being released now, at the beginning of your last year of study, is to argue this is exactly the time to think and plan for your future. Leaving it to the end of the year, when you will be facing the pressure of examinations, will be too late. It will be all too easy to be swept away in choices you have had no real part in making. 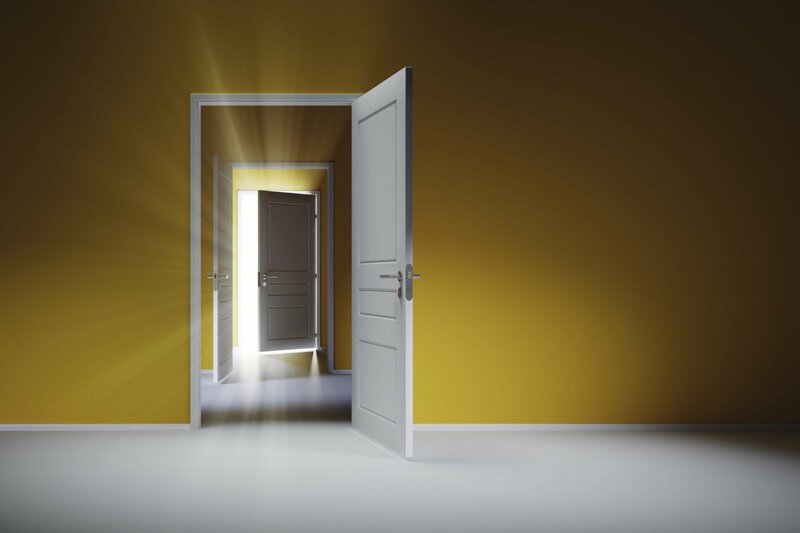 Many students who leave it to the end of their final year of study to think through what happens after school find themselves applying for courses that they may well not have had they planned ahead. The result is that many school leavers attend universities that would not have been their first choice had they thought through their options earlier. Now then is the time to plan, and think carefully through the options ahead. In the following we look in particular at US and UK university options. There are of course other options – staying in the UAE is increasingly common. So too is further education in India, Australia and parts of Europe where tertiary study (for European citizens) is free and in English – for example Germany. We will cover these options in future reports, but we start here with the most common destinations for school leavers – the UK and the US. We point out some startling facts about the afford-ability of some of the top universities in the world to lower income families and the very different admission processes and requirements of US and UK universities. We explore how to stand-out in applying to universities through your personal statement. Finally, we look at the fundamental questions that should be part of your thinking in this critical last year of school – and what to do if you cannot answer them. This is only a Guide to start the thinking process – whatever option is finally chosen, a big investment in time will be required to research your chosen option and complete the application that will do you justice – and enable you to stand-out. The key point here is that if you start now, you have the most precious commodity of all – time – to give your applications the best chance of success. And the time to make sure the choices you end up making will be the right ones, the very best ones, for you. Finally before we do begin we should note that university is increasingly not the only option. The single biggest question, admittedly more outside the UAE than in, being faced by school leavers is whether to attend university at all. In the British educational system, over the last thirty years we have seen the number of school leavers attending university jump from around 7% (at best) to touching on 70% today. As a result there are simply too many graduates for the number of graduate jobs. In addition there are increasingly skill shortages in non-degree “subjects” like plumbing, building and electrical installations. Plumbers in the UK can achieve three times the salary of even the best educated graduates from top universities entering the workforce after graduation. If university is no longer a guarantee of gainful employment, it is beholden on schools to now consider the broader range of options facing children before leaving school rather than simply seeing university as the only option. The single most important alternative to direct to University education in the UK is the Apprenticeship. Many large blue-chip companies, companies ranging from Unilever to Loreal, are now offering the option, for the brightest school leavers, to move direct into fast track management programmes within their companies – and these include time set aside by these companies for apprentices to study at university whilst working. Degree Level apprenticeships now exist in every sector, from medicine and law to marketing and banking. Competition is fierce for these Higher Level and Degree Level apprenticeship places. In the best companies, Apprenticeships lead to highly paid, rewarding employment, with apprentices enjoying fast-tracked careers compared with their peers that that have attended university. They are paid salaries from day one, have their university degree study paid for their employer and by the time their peers have graduated find themselves already operating within management with three years of industry experience under their belts. The challenge facing UAE students is that local apprenticeships are not yet an option, and to gain entrance to, for example, UK Apprenticeships theoretically requires 3 years of residency. This said, some employers and training providers may accept applications from international applicants if, because apprenticeships are primarily focused on employment, UAE-based applicants are eligible to work in the UK, as well being in possession of the necessary visas. Our view is that the UAE itself needs to play catch-up. The UAE plays home to some of the world’s top companies, while its University sector is maturing, so the foundations are in place. Where there is the will, there is a way. As it stands however unless parents and schools can leverage relationships with industry to secure genuine fast-track industry placements on leaving school, university is still, however, the only properly and effectively mapped option for children in the UAE. There is a very important difference between the requirements of top tier universities in the UK and US above and beyond examination results, predicted and actual. US universities are very focused on the whole child achievements of applicants, particularly beyond school and the classroom. To shine, US universities tend to look for gifts and talents of children that make them stand-out outside academics. This could be in any of an infinite number of areas from completing a round the world yacht race and extraordinary sporting prowess, to leading roles in amateur theatrical products and musical talent. In the UK, the equation, to the frustration of many students, and perhaps unfairly, is almost completely restricted to university entrance teams looking at predicted (and where relevant achieved) grades. UK universities are simply, in the very significant majority, not remotely interested if you can play the oboe – however well. UK universities will be interested, however whether a candidate applying to study Archaeology, has spent every waking moment reading about Roman remains and spent the Summer holidays on excavations across Europe seeking the Holy Grail. The two systems, UK and US, could not be more divergent and require very different approaches to university applications. What unites them is their need for applicants to show passion. When applying to either UK or US universities you must demonstrate a real interest. In UK universities, this means in the subject you want to study. In applying to US universities, it means in the subject to be studied and in exploring some other area outside the classroom. First, in the British system you apply to UCAS, here, where in the US system you apply to each university separately. In many cases this is, however, simplified through the Common Application, an on-line portal for applications used by around 600 US universities, here. Third, offers are not conditional in the US system, once you are accepted, all things being equal, you are accepted. Whilst there is no hard and fast evidence to support it, many commentators also argue that US universities in particular look positively on applications from non-US applicants, and from UK curricula schools in particular. Both because of historically perceived cultural links, but also because of the cultural dynamics that follow. Certainly, A Levels are seen as a strong qualifier for university application in the US. Unfortunately, US schooled UAE resident students seeking places at top UK universities may well find themselves at a disadvantage without Advanced Placement study. A US High School Diploma will, for top universities in the UK, be insufficient. Many British universities offer Foundation conversion year degree study, although this effectively adds a further year to the standard three-year degree proper study to which it provides access. This is one reason we consistently argue that US schools should offer dual stream Advanced Placement or an alternative course of Sixth Form study including the International Baccalaureate Diploma or Career-related Programme so that their students can access the broadest range of international university or industry options on leaving school. Whilst many students assume that US universities require ACT/SAT tests for entry, this is not the case. More information on institutions that do not require these can be found here. A specific list of US institutions not requiring these of international students can be found here. 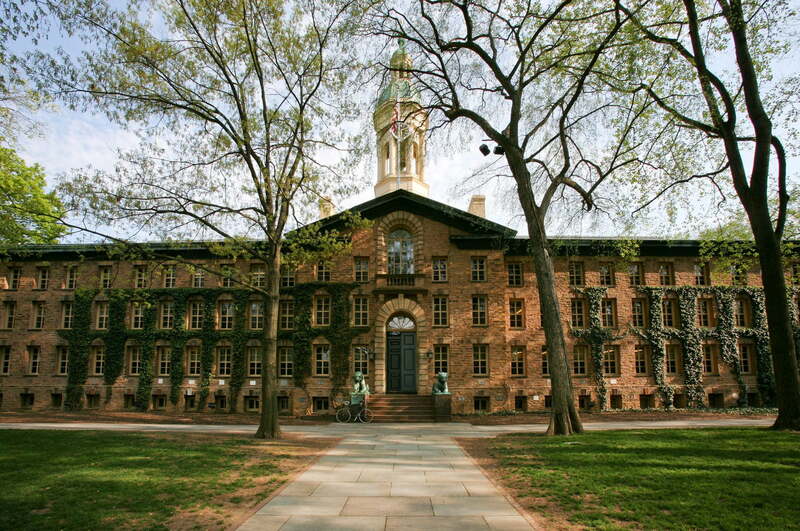 Many parents assume too that a US university education is more expensive. For lower income UAE families this is not always the case, even with top US universities. Harvard is one example. 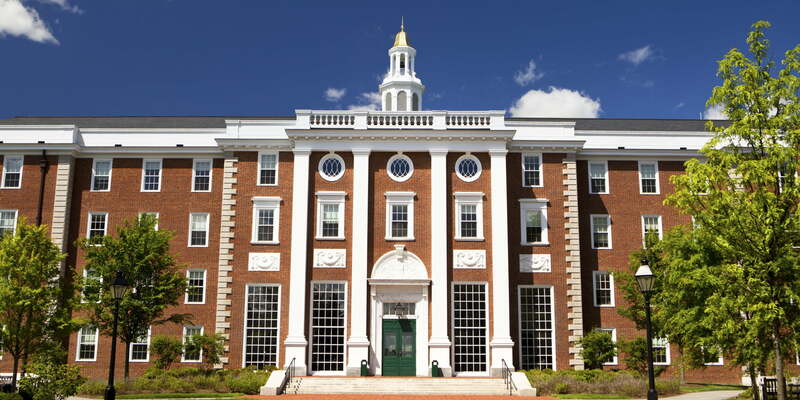 Admission to Harvard is “needs-blind.” For lower and middle income families, financial aid reduces the price significantly, and that aid is available for UAE based families. International undergraduate tuition fees vary considerably in the UK, starting at around £10,000 (49,580 AED) and going up to £35,000 (173,498 AED) or more for medical degrees. Combine these fees with the average cost of living in the UK, around £12,000 (59,500 AED) per annum and the total average cost of a UK university degree comes up to at least £22,000 (108,670 AED) each year for the average UAE student. The UK does not make loans or bursaries available to UAE families. In the US, for lower income UAE-based families, the costs are significantly less. The following example are taken from the Ivy League, Harvard University admissions and the cost of £40,000 (198,000 AED) includes all billed tuition, fees, room, board, health insurance, travel, books, and personal expenses. Family One. Income of £35,000 per annum (173,190 AED), a home and £50,000 (247,469 AED) in other savings/assets. Family Two. Income of £80,000 annually (395,895 AED), a home and £80,000 (395,895 AED) in other savings/assets. As a general rule, more wealthy families based in the UAE will find a US university education more expensive than its UK equivalent. For less well-off families, generous US bursaries and aid can reduce the cost of a US degree to close to zero. For British parents nervous of a US degree it is worth noting that in this case, Harvard falls in 6th place in the Times Higher Education World University rankings. Only Oxbridge scores higher in the UK. The complete World University Rankings for 2018 can be found here. Many students and parents tend to naturally follow a route to their native university system – US schools students to US universities, British to British. But this, in our view, misses a trick. 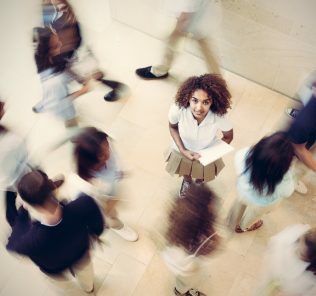 A British education at school followed by a US university education, or vice versa, can help students stand out in a world overflowing with qualified graduates. UAE families face similar complexity applying to either – but for lower income families the US system in particular can offer a lifeline. British families too tend to assume that British universities offer the best education available. A cursory glance at the rankings how that this is far from the truth, with many top-tier Russell Group universities falling far down the list in comparison with many of their US university counterparts. 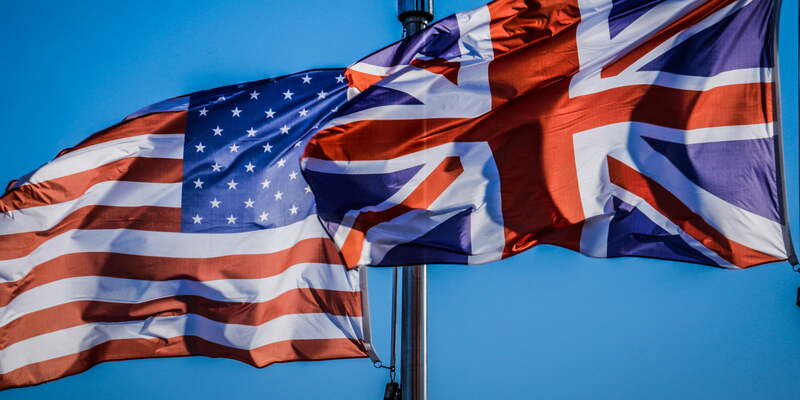 In the following we look at the Personal Statements that are required from you in both applications to the UK and US. We look at what a cross-spectrum of universities specifically ask for – and come to a general view of what we think works in practice. Universities build up a picture of each application from a variety of sources: academic reference; school/teacher references; predicted grades, interview performance (if you make it that far) and, in some cases, although often denied, from the particular school you are applying from and even your family name. The single most important area you have a chance to make an impact early on, however, is in your personal statement. The question is, however, does it always get read? We have mixed feedback. We have certainly been advised that in cases where students predicted grades do not meet a minimum threshold requirement it may not be looked at all. This said, when faced with a thousand candidates all with predicted high grades, universities need a way of differentiating. The Personal Statement is your only chance to stand-out and shine – so getting it right is a priority. Note, not all British Universities interview applicants. The London School of Economics does not carry out interview (see below), so the Personal Statement becomes particularly important. 80% of your statement should cover academics. 20% can cover unrelated extracurricular activities. 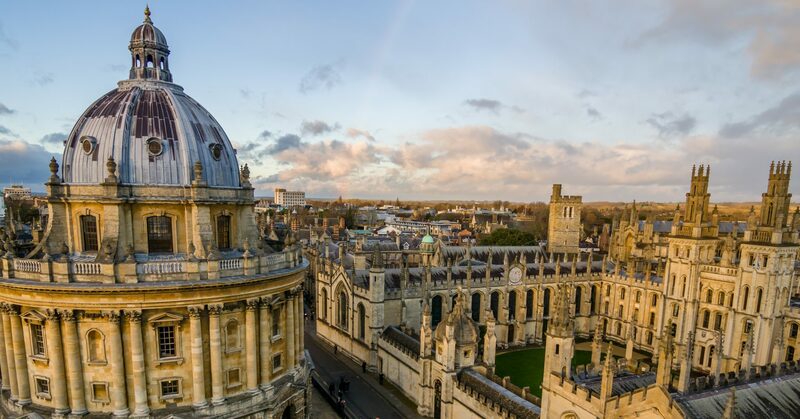 It is a “myth” that Oxford is looking for well-rounded applicants. If you want to study medicine get work experience in a top hospital. If you want to study archaeology, spend your holidays excavating. Find a problem that you want answered in your future study and start thinking through how to answer it – and complete activities that begin the process and bring the problem to life. Demonstrate in your statement how this problem guides aspects of your life. Be evaluative rather than factual. Be ambitious and driven – academically. Charitable activities, sporting prowess, playing the bazooka and being Head of School are entirely irrelevant. 100% of the application should be academic. You should not have the time, care or interest in anything else. 70% of the application should be academic. 30% can cover unrelated extracurricular activities. Be genuine. Make it yours. But concentrate on your academic interests. Research Cambridge for a (unique) field of research that matches your academic interest and passion. Refer to it. 100% of the application should be academic. 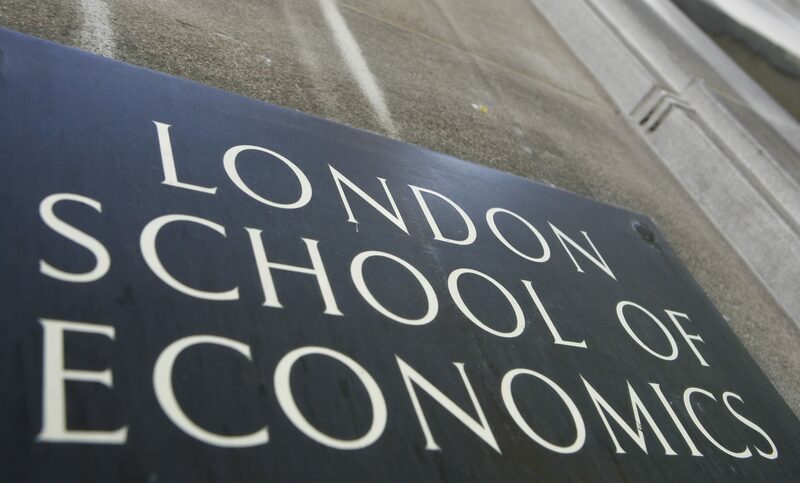 “The quality of an applicant’s Personal Statement is very important at LSE. The school does not interview for places. Good punctuation, spelling, grammar and logical progression. Refer to the course you want to study. Do not refer to ECAs. Selectors are NOT interested in your ECAs. Research what the LSE does – what makes the course you are applying for different. Do not mention that you were Captain of the football team. Why is that at all relevant? Do not say you love history if applying to study history. It is a waste of words, general and self evident. Find the detail of the historical problem that fascinates you and build your story around your passion for finding its solution and what you have done about it – inside and outside school. We have used Coventry University as an example of the VERY different ways British Universities approach what they expect from the Personal Statement. 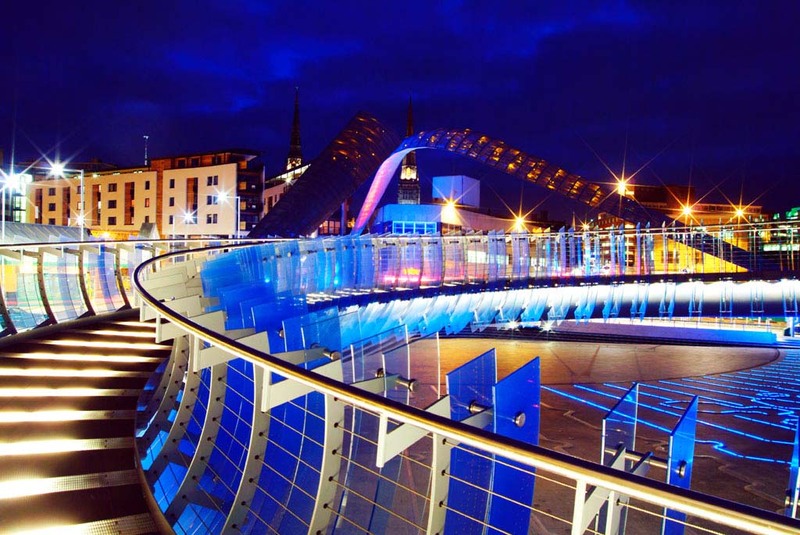 The first two requirements were taken from the official Coventry University Blog and written by a student. Advice is opposite to that given by Oxbridge and the leading Russell Group Universities. Make sure you evidence that you have clear command of the English language and are committed to study. Universities must ensure they do not accept applications from students who may not be able to access the course or who risk having to drop out. Use ECAs to evidence your seriousness and ability to follow through. Research the course you are applying for and ensure you demonstrate your fit – and interest. Make sure you sound credible, serious and committed. Demonstrate your command of language, and its written form including punctuation and grammar. For some universities your personality and personal life will be considered – but we recommend never allowing it to take up more than 20% of the space you have for your application. We need more than GPA scores to differentiate candidates. Show how you are collegiate, can be social as well as technical and have a moral code. We are looking for academics – but also people that can teach. That requires social skills. 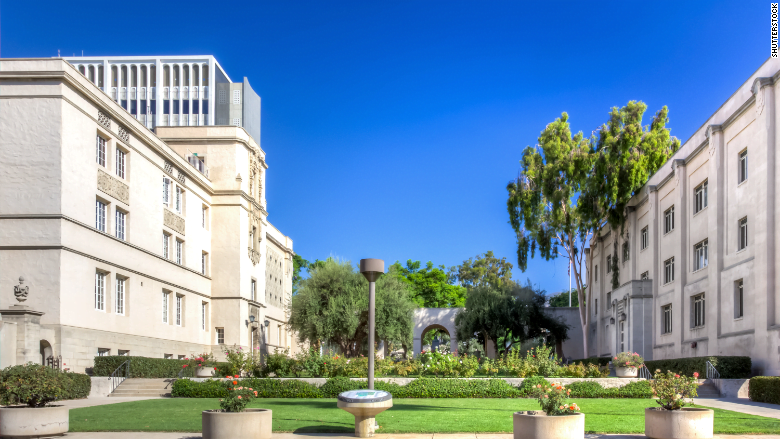 Up there with Oxbridge as one of the top three universities in the world, Caltech is a home for students with a scientific and technical bias. Faced with very high GPAs, personal statements are exceptionally important. Only 9 in every 100 applicants secure a place. Don’t fall into the trap of rambling about ECAs and your personal view of life. If you are applying to study computer science meet the Honor Code indirectly by referring to real world impacts of research and how these guide your interest in the subject. Refer to your potential research interests. Shine in being technical – with a serious, but human voice. Use a hard hitting quote that inspires you (and will them and a broader audience to capture your personality in a single sentence without labouring the point. “If you build it, they will come” for example. Pick a subject that puts technology in a social context. The impact of automation and computing will enable you to move from he theoretical to the human. The more effective personal statements tend to be in the form of anecdotal, personal histories which lead the reader to believe the writer might be an interesting and valuable addition to the new class. What should I write about? In a word, you. The Admissions Committee will have your transcript, GPA and LSAT score (your “numbers”), resume and application. What they don’t have is a sense of who you are. Often, the personal statement is what makes one application be selected for admission over other candidates with equal, or better, “numbers.” Something about which you are passionate, such as a sport or volunteer activity. An experience that resulted in intellectual or emotional growth. A challenge that you not only met, but surpassed. Your academic interests and research. Write about yourself, not something theoretical. Your scores will get you through the first door. You would not be applying if you did not have an interest in the subject. Give us confidence in you so we know you are serious, academic, well-rounded, thoughtful, sociable and fit our values. Avoid politics or anything that could label you. Pick a subject you are interested in and treat the subject as a story with a beginning, middle and end. Make sure that at the end of it the reader wants (needs) to know more. Think of sports films like The Natural, Filed of Dreams or The Legend of Baggar Vance. The subject is sport. The meaning is universal. As part of your application, regardless of which platform you choose, you will need to submit the IU-specific essay. In 200–400 words, you’ll be asked to describe your academic and career plans and any special interest (for example, undergraduate research, academic interests, leadership opportunities, etc.) that you are eager to pursue as an undergraduate at Indiana University. Also, if you encountered any unusual circumstances, challenges, or obstacles in pursuit of your education, you may share those experiences and how you overcame them. Please note that this essay may be used for scholarship consideration. You are not required to complete and submit the standard Common Application essay prompts; these additional essays will not be considered in the admission process. Letters of recommendation are not required as part of the application process. However, if you would like to submit these documents because they provide additional information about your academic and personal merit/accomplishments that is not indicated elsewhere in your application materials, we will accept one counselor recommendation and one teacher recommendation. The university is looking primarily at your grades. 400 words is restrictive. Focus, only if accurate and representative, of obstacles you have overcome. These will be taken into account and weighted. Do not make a drama. DO. if possible, garner both separate Counselor and teacher recommendations. Be clear on why you are applying, your ambition and how it fits with what you understand are Indiana strengths. Show you have done your research. If you have or are expected to achieve beyond your projected grades – explain the hurdles you have overcome to add value. Refer to SEND where relevant and how this has been overcome. The importance of Teacher and Counselor references cannot be underestimated – but only if they are positive. There is no perfect statement. Every university is looking for something different. In all statements, structure, grammar, spelling and a sense of purpose are fundamental. But there are clear differences in the degree to which personal lives and ECAs are given weight by universities. As a general rule, for all university applications in the US and UK, focus on the academic rather than personal. For both make sure that what you write tells indirectly a story about your character and moral foundations (make the world a better place) but do not labour this. For top tier British universities avoid any discussion of ECAs. For US universities character and personal lives are more heavily weighted. If you cannot identify achievements to date, be very specific about your ultimate ambition in studying. No application will suffer if your ambition is to become a teacher. It may if your ambition is to make money and drive a Ferrari. You are applying to a University not a trading desk. Our final advice is that if your statement (or essay in a US context) does not capture you, and your sense of purpose, do not submit it. In an ideal world, you will know what career you want to follow. For a minority of school leavers, career paths are clear and mapped. This is more often the case with professions in medicine and teaching in which vocation plays a key role. Some school leavers too already have careers mapped out in family companies. In these cases, decisions are often financial, logistical – and generally simpler. Often decisions will be focused on choosing the best university for their chosen field of expertise and completing the relevant documentation. Beyond this the focus is academic in meeting the grades. But for the majority of young men and women in their final year of school, career paths, university and industry options and passions are often less clear cut. For many it becomes simpler to put off decisions and thinking about what happens after school, or simply thinking of the answer in terms of going to university without looking at the bigger picture of where that leads. The best UAE schools have career departments that should, by this stage, at least have whittled down the options. There are a number of key facts that we do think are worth weighing in the balance now. First, all degrees are not equal. Top universities have greater credibility with employers, and in some cases, simply having studied at a given university will open doors. Reading and thinking through the World University Rankings is a good place to start when thinking through the implications. Second, choose a career that genuinely interests you – and in which you have skills. If you faint at the first sight of blood, you will not be a doctor, whatever your ambitions. You are making a decision that will impact on the rest of your life. Ideally you want to avoid changing horses midstream. Third, speak to careers and university experts. As we have shown, what may seem the case, as with the apparently high costs of a top tier US university education over a British one, are often far from the truth. Assume nothing. Think outside the box. Just because you have studied at a British school does not mean that you must go to a British University. Fourth, do not make decisions based on peer or parental pressure. As we have argued, what matters is what is right for you. In the UK, plumbers command bigger salaries than doctors. Technical options, whether at university or otherwise, are not in any way inferior to academic ones. The world needs lawyers and doctors – but it also needs electricians, dancers, musicians, retailers, actors and countless other trades and skills. On leaving school, you will more likely be judged by your success in whatever career you have chosen than the sector in which you operate. Fifth, a gap year can be used to good effect. But it can also be wasted. It should never be a holiday. A year spent working in a hospital in Africa may help define your career path whether in medicine or otherwise. It would certainly strengthen an application to a top medical school. A year spent traveling through Thailand on a personal voyage of discovering beaches is probably not going to help. Sixth, do not discount direct employment after school, but if you decide this it will help if you have networks in place and the commitment of a fast track, management programme from your future employer. Taking a job as a hospital porter is not going to lead to a career as a nurse. Apprenticeship opportunities are available in the UK, but are limited for international students. There is no harm, however, in calling IBM in the UAE and asking to speak with personnel if you know that you want to work in corporate solutions. Listen to what they say and make your decision on that basis. But do it before leaving school and giving up the option of university on the off chance that a direct career in industry is waiting for you. Again, the best UAE schools have forged strong links with industry and should be able to open doors. 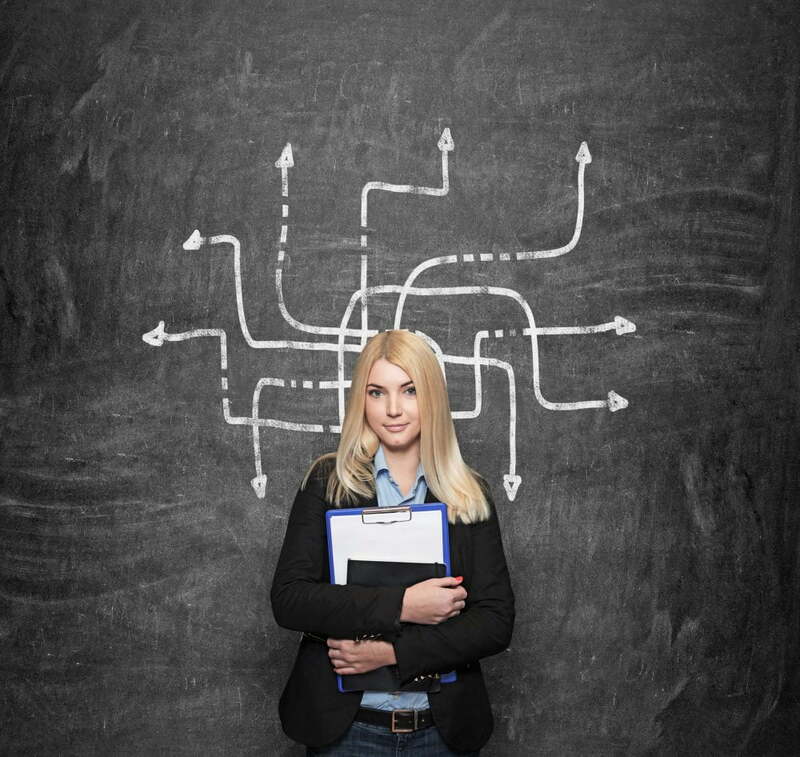 Finally, whether you do, or do not, have your career mapped out, start thinking now about your future and be confident in yourself. Very little is impossible if you want it enough. And wanting something needs thinking about it. Time passes more quickly than we ever think, so that work should start now, if it has not already.